A memoir in three parts. `Double Unit' tells the story of Maurice Gee's parents - Lyndahl Chapple Gee, a talented writer who for reasons that become clear never went on with a writing career, and Len Gee, a boxer, builder, and man's man. `Blind Road' is Gee's story up to the age of eighteen, when his apprenticeship as a writer began. `Running on the Stairs' tells the story of Margaretha Garden, beginning in 1940, the year of her birth, when she travelled with her mother Greta from Nazi-sympathising Sweden to New Zealand, through to her meeting Maurice Gee when they were working together in the Alexander Turnbull Library in 1967. A portrait painter in Tokyo is abandoned by his wife and finds himself holed up in the mountain home of a famous artist, Tomohiko Amada. When he discovers a previously unseen painting in the attic, he unintentionally opens a circle of mysterious circumstances. To close it, he must complete a journey that involves a mysterious ringing bell, a two-foot-high physical manifestation of an Idea, a dapper businessman who lives across the valley, a precocious thirteen-year-old girl, a Nazi assassination attempt during World War II in Vienna, a pit in the woods behind the artist's home, and an underworld haunted by Double Metaphors. Beautifully presented. A new way of telling the story of the famous explorer: through the eyes of his cook on the Endeavour, the one-handed John Thompson. 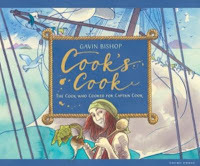 As the ship travels the Pacific we get nuanced observations on class, power and race, as well as actual recipes from the ship's galley, all done the graphic style that won Gavin Bishop the 2018 Margaret Mahy Book of the Year award for Aotearoa. Franz Kafka's executor disobeyed his instructions and failed to destroy Kafka's papers after his death. Instead, he took them with him to Israel where, after Brod's death, they fell into the hands of Brod's housekeeper, who put them up for sale. They immediately became the subject of an intense international legal battle: should the manuscripts be housed in Germany (by virtue of language), Israel (by virtue of "cultural inheritance") or the Czech republic (by virtue of birth)? As the case was heard by an Israeli judge, the outcome was fairly predictable. This is a fascinating account. A beautifully presented celebration of literary maps, with contributions from Robert Macfarlane, Frances Hardinge, DAvid Mitchell, Coralie Bickford-Smith, Philip Pullman. Irresistible. When Manguel 'downsized' his home, he had to pack his library of 30000 volumes, knowing that he might never see many of them again. As he did so, his mind was filled with thoughts about literature and about our attachment to books. Fortunately, he has written this book of these thoughts. 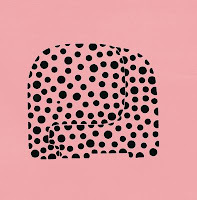 A novella of five sections, each separated by years and kilometres, in which we follow sisters Hillary and Bridgid as they manage abandonment, motherhood, illness and the ineffable connections of the families that we are born into and those that we create. 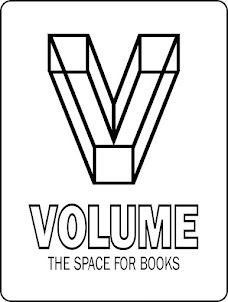 Winner of the 2018 Viva La Novella Prize. A modern take on Beowulf, set in American suburbia as two mothers fight to protect those they love. The first graphic novel adaptation. 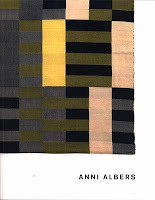 Tracks her career from her early years at the Bauhaus, through teaching at the Black Mountain College, and is packed with examples of this most accomplished and influential weaver, artist and designer. Maurice Shadbolt believed that New Zealanders should tell their own stories, cherish their own myths and believe in their own big lies before they could stand upright in a post-colonial world. Through his fiction, non-fiction and international journalism, he played an important role in projecting New Zealand to the world throughout the second half of the 20th century. He was also involved in the anti-Vietnam War and antinuclear movements. A large-format, strikingly designed alphabet book full of twists of thought. Short stories from the author of Nobody is Ever Missing and The Answers. A woman leaves her dead husband's clothing on the street, only for it to reappear on the body of a stranger; a man reads his ex-wife's short story and neurotically contemplates whether it is about him; a young woman whose Texan mother insists on moving to New York City with her has her daily attempts to get over a family tragedy interrupted by a mute stranger showing her incoherent messages on his phone. >> Read a sample story. >> "The word America is pretty ugly." With the automation of work, the virtualisation of money, the dissipation of class communities and the rise of immaterial, intellectual labour, the global capitalist edifice is beginning to crumble, more quickly than ever before-and it is now on the verge of vanishing entirely. But what will come next? Against a backdrop of constant socio-technological upheaval, how could any kind of authentic change take place? A shed is the structure most amenable to self-expression. This beautifully presented book if full of ideas, practical advice and useful illustrations. A couple's marriage comes under increasing pressure from the husband's life of deception in the secret service in the 1960s. An excellent introduction to Islamic culture through objects from the collections of the British Museum. 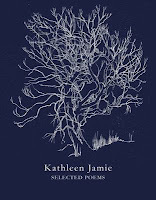 A selection from several decades' worth of Jamie's poetry, all of it filled with space and clarity, and assertions seemingly from nature itself, as if the world was being viewed in the absence of humans. Long ago, following a cataclysm called 'The Rupture', the world was shattered into floating celestial islands, known now as Arks. Ophelia lives on Anima, an Ark where objects have souls. Beneath her worn scarf and thick glasses, Ophelia hides two powers: the ability to read the past of objects and their human owners, and the ability to travel through mirrors. When she is promised in marriage to Thorn, Ophelia must leave her family and follow her fiancé to Citaceleste, the floating capital of a distant Ark. Why has she been chosen? Why must she hide her true identity? 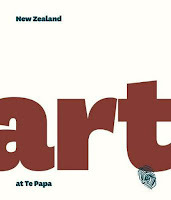 The best survey of New Zealand art available, thoughtfully selected and presented, drawn from the national collection. An estranged father reconnects with his bridge-building son in this story "told inside-out and back-to-front" from the author of The Book Thief. In twenty meals The Hungry Empire tells the story of how the British created a global network of commerce and trade in foodstuffs that moved people and plants from one continent to another, reshaping landscapes and culinary tastes. 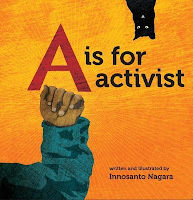 Learn the alphabet with this radical board book. No to what must go!